This attack basically destroys the opponent. However, If the opponent's pokémon is a Weegee. It misses. 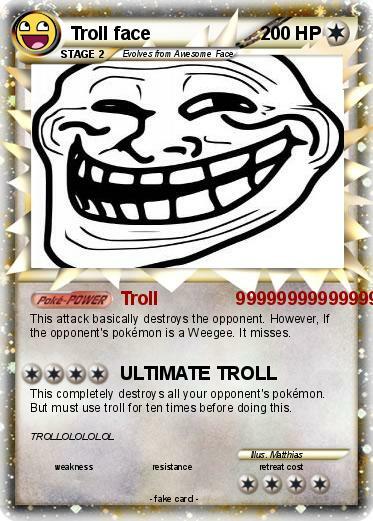 This completely destroys all your opponent's pokémon. But must use troll for ten times before doing this.